Bazaar del Mundo in Old Town will keep its traditional Mexican spirit alive by paying homage to the deceased with a Día de los Muertos event featuring elaborately decorated altars, sugar-skull decorating and face painting. 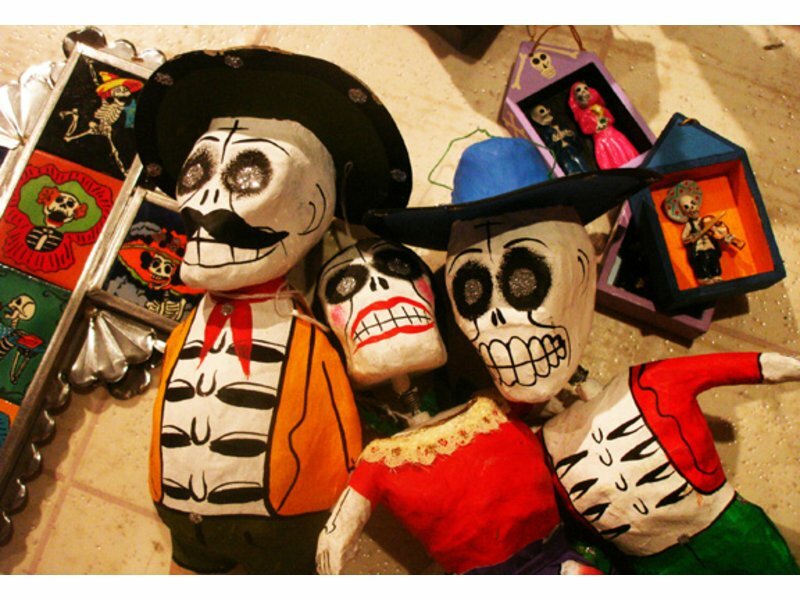 As part of Old Town San Diego’s Annual “Tour of Altars,” Bazaar del Mundo will transform its shops into a walkable trail of altars, complete with traditional sugar skulls, handmade papier-máché decorations and special Day of the Dead-inspired clothing and crafts. Guest artists will be on-site selling Day of the Dead-themed jewelry, handbags, accessories, prints and cards to promote the holiday. Exotic sounds will be provided by Latin American folk group Tinku. Children and families can enjoy a sugar-skull decorating class on Saturday from noon to 6 p.m. and face painting both days (small fee applicable). Hot chocolate, mini churros and coloring sheets will be available for the children, while historical handouts will be provided to adults. Next door to Bazaar del Mundo, sister restaurant Casa Guadalajara will have a spectacular alter of its own, and offer Day of the Dead food and drink specials to help celebrate the holiday. The event is in conjunction with Old Town’s Día de Los Muertos three-day event, happening from 2 to 9 p.m. Oct. 31 to Nov. 2, which includes “Tour of Altars,” a candlelight procession, face painting and mask decorating throughout Old Town at participating sites.